There was an unforgettable book I read in junior high school: “Friends, Nemunoki and then, me” by Mariko Miyagi. During university years, I taught in specialized cram schools for autistic children and those who refuse to go to school. While studying abroad, I noticed the difference in welfare environment between the U.S. and Japan. From these experiences, I wondered what is necessary for these children, who have difficulties going to school due to illness or disabilities, to become independent. I studied about distant learning and ability-specific learning programs. Furthermore, by meeting people with disabilities, I became acquainted with the Japanese welfare system and that for persons with disabilities. I began to ponder what they can do for themselves and what we can do for them, in everyday life. 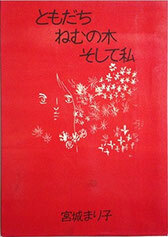 It has been a long time since I encountered Mariko Miyagi’s book. School refusal due to bullying or shut-ins are becoming more noticeable; people with mental illness have increased. Nevertheless, even under such circumstances, there is something one can do at home for a start. That is “organizing one’s own belongings”. When we organize things, we organize our mind. Such organizing is connected to how we think and have our being. To repeatedly train a person to organize his own belongings by himself is very important for his survival. In this society overflowing with information and things, I believe for one to decipher what are the essential information and things, and to have the strength to create a place and time of tranquility, can be achieved by organizing one’s belongings and mind. It would be my greatest pleasure to be of assistance to this endeavor.